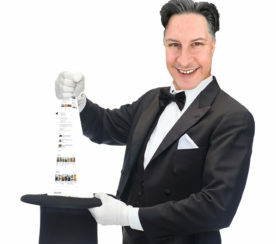 In the early years of SEO, ranking was the primary measure of success. SEO professionals focused on ranking #1 for their desired golden keyword and relied heavily on rank tracking tools to monitor their improvement over time. Over the years, SEO pros quickly learned that ranking alone is a poor indication of success. Ranking #1 for a keyword means little when that keyword brings little relevant traffic or few conversions. This realization prompted SEO pros to combine rank tracking with other metrics, such as organic search traffic and conversions. As Google improved over the years, tracking keyword rank has become more difficult on the most widely used search engine. Google has to spend money to keep the search engine alive. Its primary source of revenue comes from ads and sponsored results. Rank tracking tools visit search engines and use the server resources; however, they do not contribute to Google’s revenue flow because they don’t click on the ads. Google has also created Application Programming Interfaces (APIs) that allow developers to obtain keyword ranking data without Google’s user interface. APIs provide the rank tracking data developers need for free. The only catch is that Google limits the number of API requests per day. As a workaround, most rank tracking tools scrape the ranking results directly from Google’s result pages. When Google detects this, it will display a CAPTCHA form to verify that the query was made by a human. Since there are also tools to work around the CAPTCHA form, Google will temporarily block the IP address if there are rapid, successive queries from the same IP address. If the pattern of scraping continues for a significant amount of time, Google will ban the IP address from visiting Google. When looking for rank tracking tools, this is one of the main features you need to consider, especially if you plan to track a large number of keywords. Keywords will rank differently when the search is done in different geographical locations, especially if the keyword is about a local company, organization, or person. Keywords like “car mechanic,” “dentist,” and “plumber” often have a local intent and you can expect these results to be different depending on where they are searched from. When looking for rank tracking tools, also consider if they are capable of tracking results from different regions especially the ones associated with your target market. Google tracks the types of results you tend to click on and the results you hit the back button on. Google can do this whether you are logged into a Google account or not; however, it can be more difficult when you are logged out. Logging out of a Google Account. Using Private Browsing or Incognito Mode on your web browser. Adding the URL parameter &pws=0, which tells Google to disable personalized web search results. If keyword ranking seems to be inconsistent, should we even report on it as a key performance indicator (KPI)? You can show an SEO client #1 rankings for keywords, but when they search that keyword in their location or on their personal browser, it may be a different ranking position. The main factor to pay attention to is not the rank itself, but the trends. Rank shifts are important to make note of regardless of the ranking position. Even when the ranking is different in other regions or on people’s personal browsers, the trends of movement will often remain consistent. Keyword ranking tools come in different forms and can be classified based on installation type. This chapter will discuss each type, along with their unique advantages and disadvantages. Browser plugins are add-ons that extend the capabilities of your web browser. SEOBook’s Firefox Rank Checker Extension is the only one of its kind. Using a plugin is helpful because it can mask the scraping tool as a web browser. Because Google doesn’t like rank tracking tools, if it tries to detect the user-agent, which is like the identification card of a web browser, it will appear as Firefox instead of a scraping script because the tool runs within Firefox. It runs instantaneously, thus if you need to find the ranking quickly, you can use this plugin and get the ranking numbers right away. Even when a Firefox plugin has the user-agent of a normal web browser, the speed and behavior of the queries done from the same IP address will appear unnatural. Getting blocked from search engines is common when using this plugin if you run a large number of keywords. Browser plugin ranking tools are ideal for small sets of keywords, typically 100 or less, when you want the results immediately. Desktop applications are programs you install on your own computer. As a standalone program, they do not require the web browser. They are capable of running larger lists of keywords without getting blocked by Google. Emulating human behavior by adding time and pauses between queries, copying a web browser user-agent, downloading all page assets (e.g., images), and not just the ranking results. Using a rotating list of IP addresses that you supply. This allows the tool to make it appear as if the queries are coming from different computers worldwide. Many of these tools are not only for rank tracking and can be used for a number of purposes like backlink analysis or keyword research. Can run a larger amount of keywords compared to the browser plugin tool without getting blocked by Google. Even with human emulation and using a number of proxy IP addresses, if you are using this within a digital marketing agency that has multiple SEO clients, it will be difficult to handle them all. You can’t speed up the process because that will counteract the human emulation. You can attempt to increase the number of IP addresses, but this greatly increases the cost if you are getting new IP addresses just for the sole purpose of rank tracking. Desktop application rank tracking tools are ideal to use for small boutique SEO businesses, or for conducting SEO on your non-SEO business. This works when you don’t have a large amount of keywords to track, and it will keep the cost down. Web-based software as a service (SaaS) solutions do not run on your local computers. Instead, they run on a subscription-based server. This eliminates the challenge of maintaining multiple IP addresses. These solutions don’t run on your computer, so you don’t need to worry about leaving them running overnight. This really is a better solution, which is why many of the desktop applications mentioned above also have web-based versions of their products. Some of these web-based services focus primarily on ranking, while others have multiple capabilities. Web-based solutions are more stable, require less maintenance, and manage IP rotation for you. Many of the web-based tools have the capability to track local results within a city, as well as international results for different countries, which allows you to track ranking for your target market. 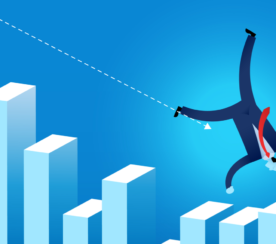 Web-based solutions tend to cost more than the desktop application rank trackers and, because they run on a server, most rank tracking is queued and scheduled, so you won’t get immediate results. It’s best to use these SaaS solutions when you are a large digital marketing agency or a large SEO company. The other options may not be able to handle the large volume of keyword tracking that is needed when dealing with multiple clients. Aside from tracking the ranking of keywords in search engines, you can also track the amount of pages indexed by search engines. Using the Site: operator to view the number of results that appear for a specific domain. Using Google Search Console’s (GSC) report on the number of indexed pages. Using GSC’s status of indexed pages within your submitted XML sitemap. All three will often give different results. Usually the GSC indexed pages will give the largest number of pages, but may include duplicate content pages. GSC’s status on the pages indexed within your XML sitemap is only helpful if your XML sitemap has a complete list of all the URLs on your site. The site: operator will often have the fewest number of URLs because it removes pages with thin or duplicate content, low-quality pages, and spammy pages. This information can be obtained from Google alone; however, there are many tools that will pull this information for you along with their rank tracking software. In local SEO, you must optimize organic search results containing geographic information like a city, state or country. You also must optimize the results in Google Maps and other online map websites where the ranking algorithm is different from the main organic search algorithm. Since optimization here is targeted separately, it needs to be tracked separately using local map rank tracking tools. One platform that does this is BrightLocal. It will track your businesses ranking within local maps results and you can set the location of where the search query runs. Every search query uses server resources on web-based rank tracking tools. It takes a longer time to run and increases the risk of getting blocked by search engines. When running desktop applications, you can add in as many keywords you like, but to avoid getting blocked by search engines, you either decrease the speed of the request or you can keep the speed high but increase the number of IP addresses you will use to run the queries. Running the request more slowly will cost more as it will take longer to complete. Using a higher number of IP addresses also incurs additional costs. The Google Search Console is free. Google doesn’t charge by the keyword, but you aren’t allowed to specifically assign keywords to track. It will just show you the top 1,000 keywords that have high rankings, impressions, and clicks. You can assign specific keywords to be tracked and priced accordingly. If you don’t assign keywords, it will scrape various phrases from the pages of your site and check the ranking of those phrases at a low frequency, about once a month or longer. 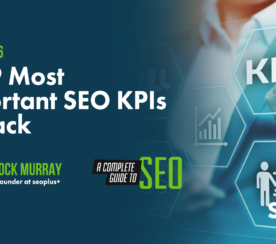 Both GSC and SEMrush may not choose the keywords you really want to track, and they won’t give you the latest ranking numbers, but they can supply you with thousands to literally millions of keywords that your site ranks for. This wasn’t meant to be an exhaustive list of SEO rank tracking tools. These are just a few rank trackers that I (and many others in the SEO industry) consider essential. I highly suggest you do your own research. New keyword rank tracking tools are coming out all the time. 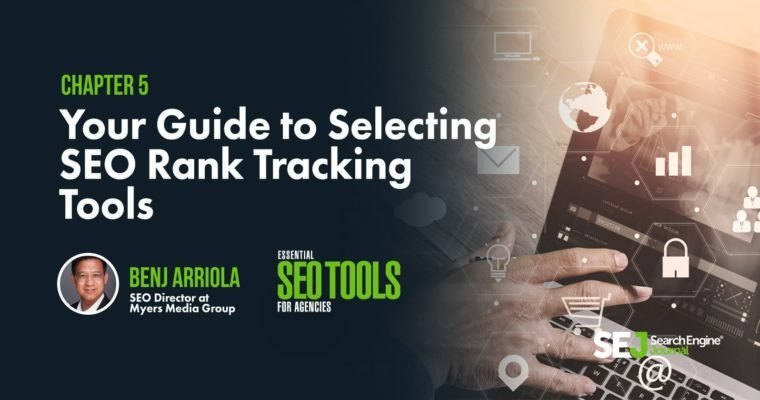 There will be rank tracking tools that only do rank tracking and there will be some that are more expensive that do a lot more – and possibly could replace some of your other SEO tools. Some tools may have APIs where you can integrate the data with your custom-built tools. Other tools may be focused only on the U.S. market, while others might be international or some other specific country where rank tracking should be done on other search engines (e.g., Baidu, Yandex, Naver, Seznam or others). Consider all of this during your rank tracking tool selection process. Find the rank tracking tool that best suits your specific needs.